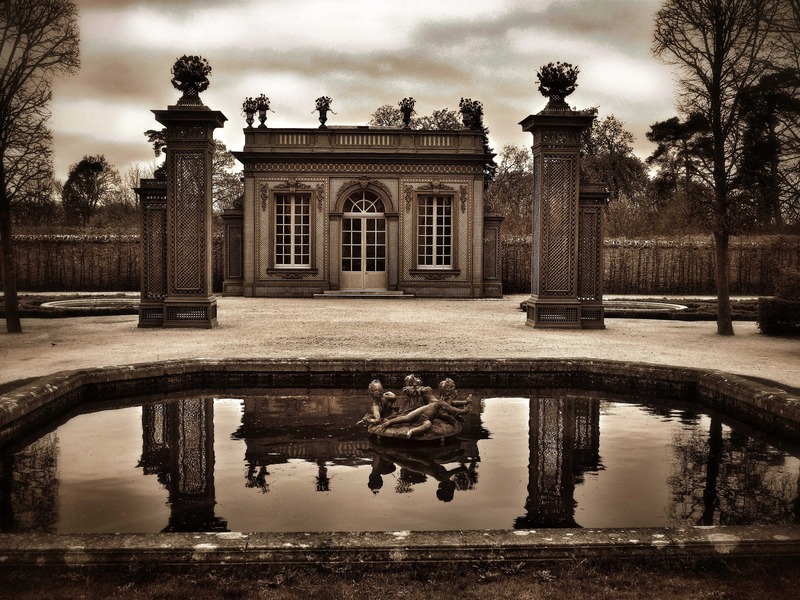 “I find inspiration from my dreams, music and classical movies,” says photographer and artist Adrian Villeta, whose first book, Adrian Villeta Poetic Vision will be released in December, featuring the artist’s signature romantic portraits, still lifes, landscapes, gardens, and architecture/interiors spanning his 35-year career. After the devastating news and destruction from Hurricane Maria, the book is a wonderful opportunity to showcase the beauty and vision of one of the island’s most creative artists. 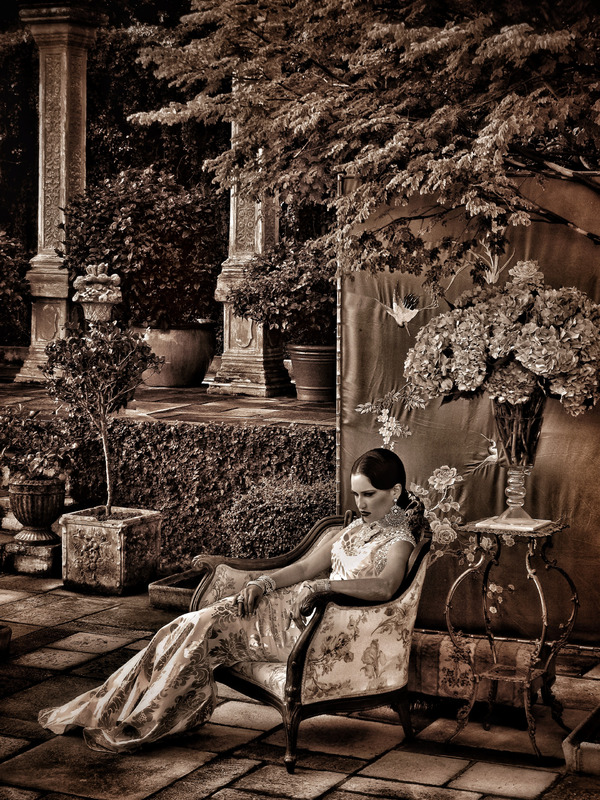 With the foreword by friend and painter Gloria Vanderbilt, Poetic Vision also features Mr. Villeta’s romantic French garden in San Juan, Puerto Rico, a masterpiece in itself, which serves as his studio and the backdrop for much of his work. “Throughout my life, art has been a door to a unique and beautiful world where I am able to get lost in my dreams,” says Villeta. His work combines painting and photography to create a romantic vision that captures the grace and elegance of a bygone era, while celebrating the modern virtues of strength, independence, and self-confidence found in his subjects. Many of Villeta’s ideas and images are inspired by places he has traveled to around the globe. 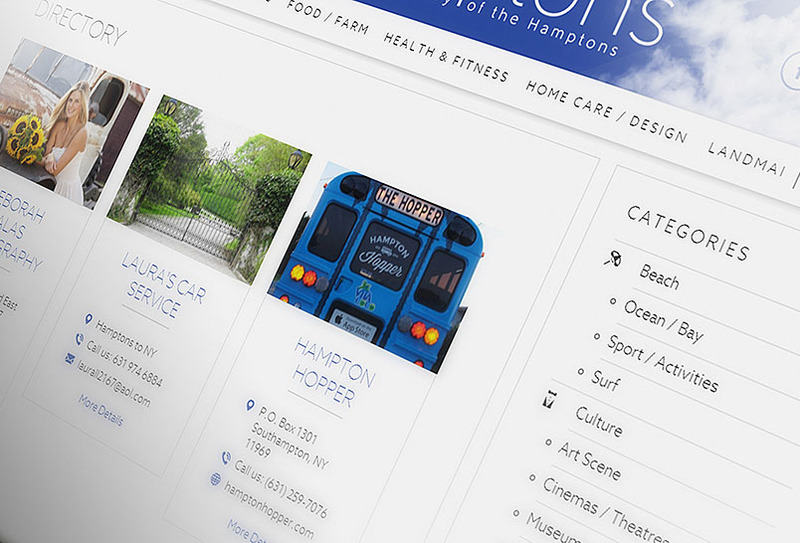 His process involves an immersive study of all elements, including tableau, mood, wardrobe, decorative props, and floral arrangements to create a visual story. 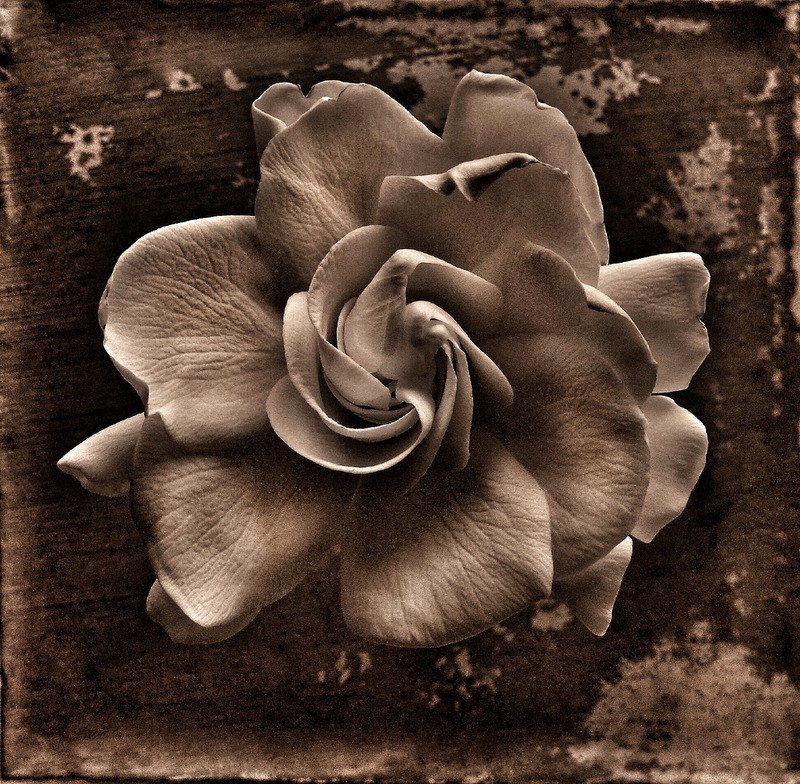 The black-and-white photograph is printed on fiber paper matte c-print with a sepia tone and then hand-painted in oil. 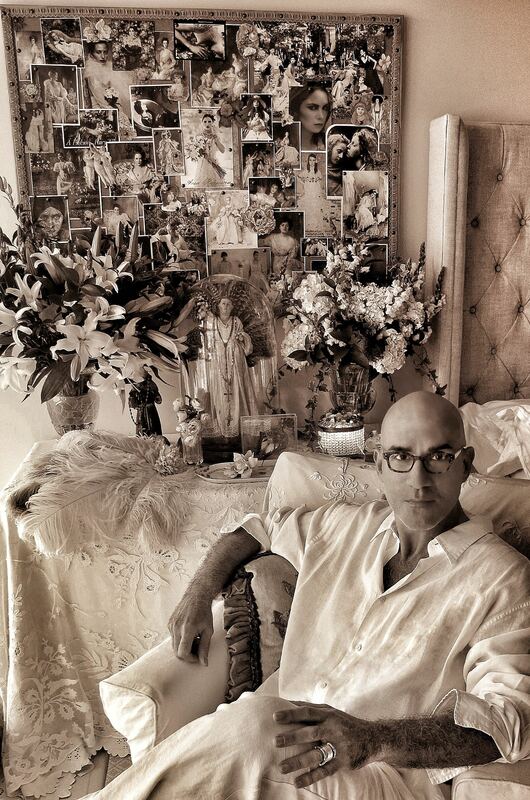 Villeta’s work has been influenced by many artists, including John Singer Sargent, for the grand elegance in his portraits; Julia Margaret Cameron, the first woman recognized as a photographer, with angelic images using the sepia color (an essential feature in his work); Deborah Turbeville, Sarah Moon and Marie Cosindas, for the romantic vision and great beauty in their portraits; and Cathleen Naundorf, for her impeccable sense of style and an incredible creativity in the use of large-format type cameras. If you’re lucky enough to live in one of these cities, Adrian is doing a book tour in Palm Beach; Huntsville, Alabama; and Washington, D.C. in December, and will be donating 15% of the proceeds to Puerto Rico hurricane relief efforts. Go to adrianvilleta.com for more information. “Art is a language of emotion arising from personal experience,” says Adrian Villeta, whose new collectible book, Poetic Vision, debuts in December. The Palace of Versailles, or simply Versailles, the famous royal château in the Île-de-France region of France, 20km southwest of Paris. 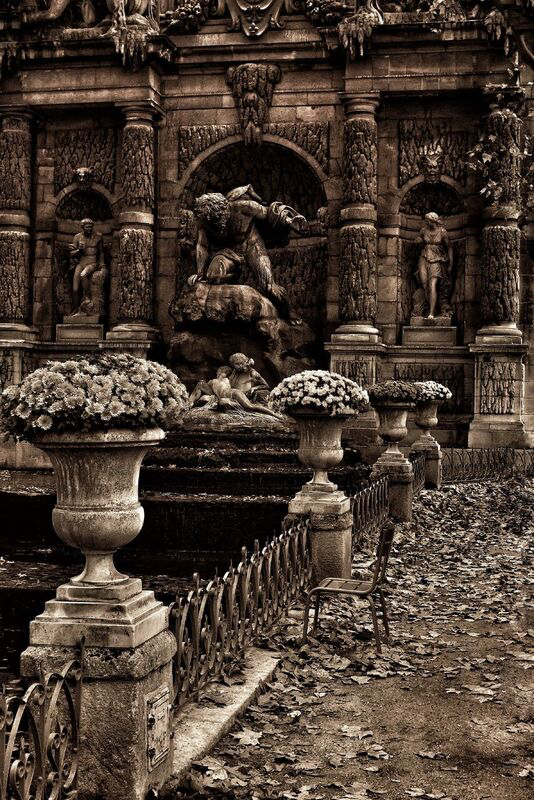 The gardens of Versailles represent one of the finer extant examples of the jardin à la française created by André Le Nôtre. Photograph by Adrian Villeta. Villeta’s work has been influenced by the French Baroque and Rococo styles, for their use of marvelous colors and textiles in fashion, and their preference for a formal structure in architecture, specifically in garden design. 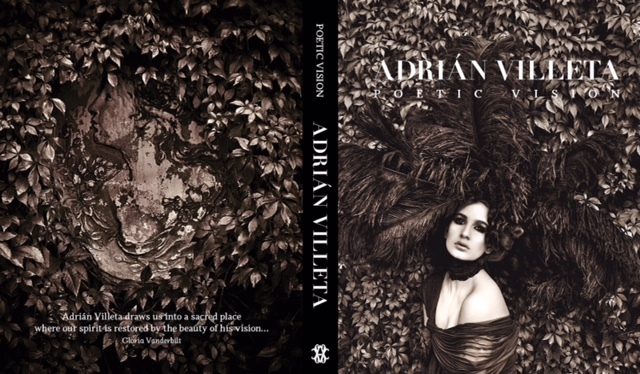 Adrian Villeta Poetic Vision has 256 pages and 275 images in sepia/full color and is available for purchase during the Holiday 2017 season at the artist’s website, adrianvilleta.com A limited edition boxed set is also for sale. Hardcover, $85 retail; boxed set, $110. The hardcover can be purchased at El Museo del Barrio’s La Tienda, New York City.